Have you ever heard about the term "Hanbang"? I've been always into traditional herbs even before I started studying dietetics, it's just something I like to read about because traditional herbs are the history of skincare over thousands of years. You have to remember that kbeauty is not only about cute packaging and sheet masks, it's also about technologies and tradition. First time I've heard about the term Hanbang was when I saw Atoclassic products - a South Korean brand which might be unknown to you. Did Hanbang skincare based on Atoclassic Real Tonic Soothing Moist Mist and Atoclassic Real Tonic Soothing Origin Essence help my skin? 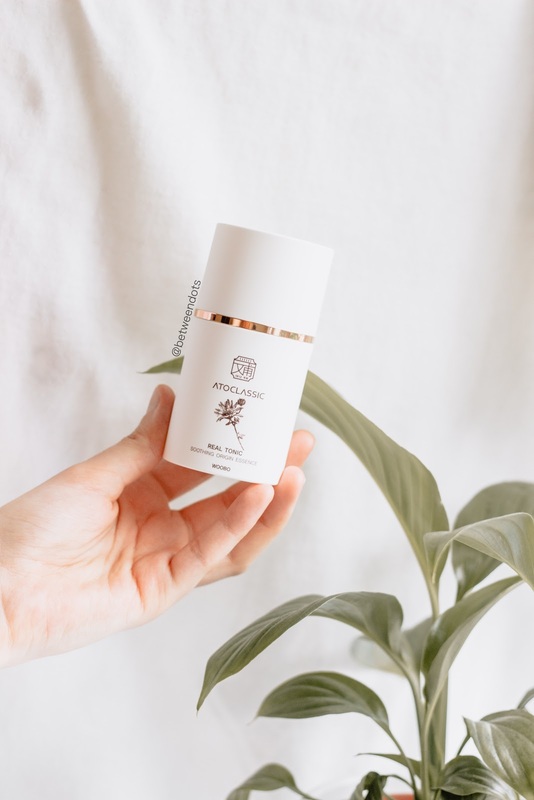 Is Atoclassic a new K-beauty brand you should be hyped about? What does Hanbang stand for? Before we start we need to understand what Hanbang stands for. Hanbang is a term for Traditional Korean Medicine. You can be a bit shocked since some ingredients used in Traditional Korean Medicine are similar to Traditional Chinese Medicine but that shouldn't surprise you since there are some herbs which you can find all around the world used to cure the illness. But Hanbang is not only about skincare but health in general. It's about using natural ingredients to help your body. 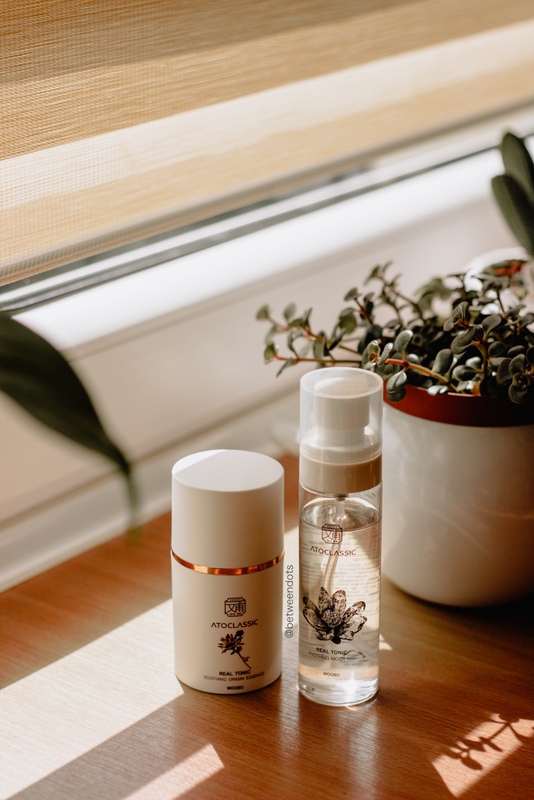 Nowadays if it comes to Hanbang skincare it's usually about mixing tradition with technologies but still, it's all about antioxidants and the power of natural ingredients. Lots of luxurious brands are based on traditional herbal medicine. You have to believe that traditional medicine has a strong meaning in the culture - just look at universities in Korea, you can find lots of programs related to traditional medicine. Atoclassic is a brand with over 100 years long tradition of Hanbang. 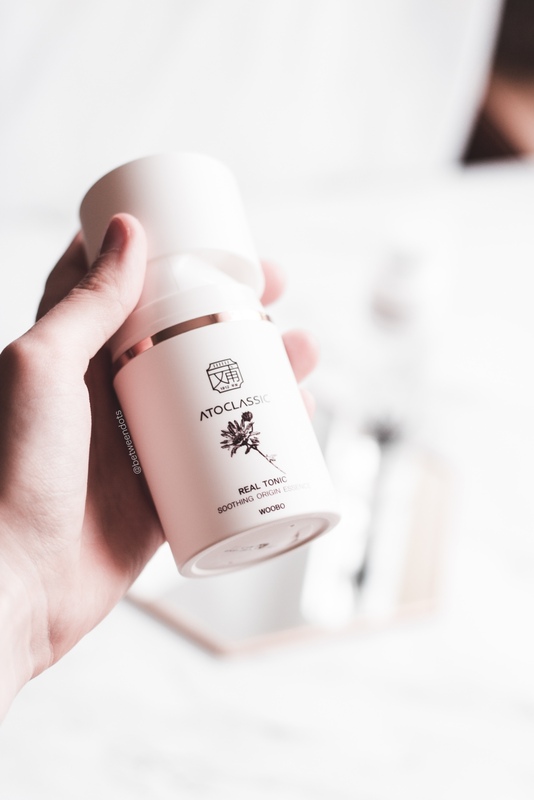 The roots of the Atoclassic are from the Woobo Clinic - a clinic in which three generations of the family spent over 100 years to focus on Hanbang. 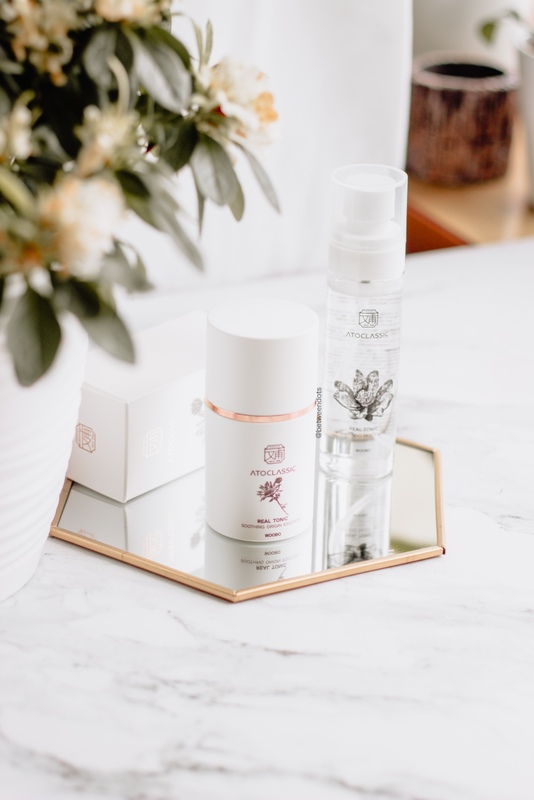 Atoclassic as a skincare brand is focused on natural but low-sensitizing ingredients for all skin types including skin trouble such as irritation, allergy, atopic dermatitis or acne. It's summer and my skin is so dehydrated - it's something that I didn't experience year ago but I guess in general my skin got more sensitive after my short journey with a cleansing brush (non-silicone one). 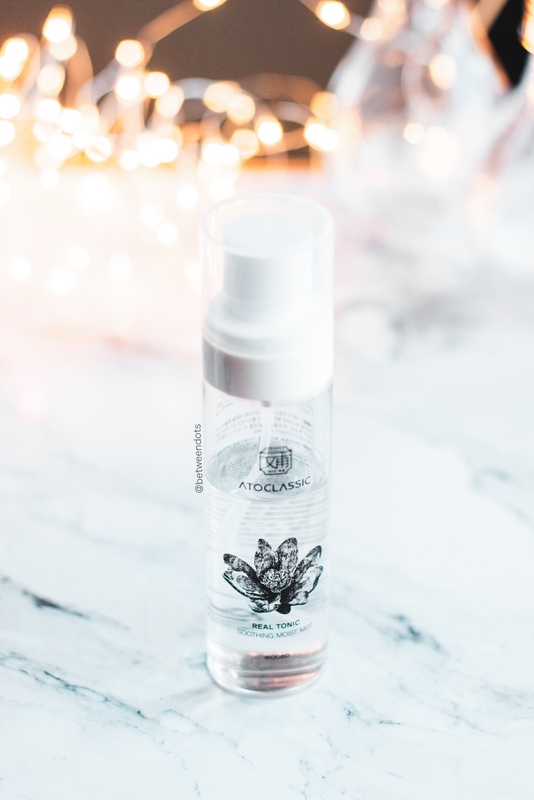 The number of the ingredients in Atoclassic mist is quite short, usually, if I see a product I expect to see over 30 ingredients but this product is focused on natural extracts and hydrating ingredients. This mist contains 4 different herbal extracts which I think it's worth to mention what do they do. It's not a common thing to start the ingredient list with Coptis Chinensis Root Extract also known as Huang Lian. It's an ingredient with anti-bacterial properties, used to cure acne, eczema and similar skin problems. It is followed by Scutellaria Baicalensis Root Extract, another ingredient well known from Chinese tradition as "Huang Qin". This extract contains flavonoids and sterols. This extract has soothing properties, it fights the inflammation well and it might brighten the skin a little bit. Gardenia Jasminoides Extract is used for its amazing scent but also for calming properties. Last but not least Phellodendron Amurense Bark Extract is another herb that helps to keep your skin young and fresh. It helps with wound healing process and moderates the sebum production. There's one ingredient which is a bit controversial PEG-60 Hydrogenated Castor Oil - an ingredient that is not recommended to use during the pregnancy or on a fresh wound. A good facial mist should be hydrating. What kind of mist is Atoclassic Real Tonic Soothing Moist Mist? It's not a watery mist that messes up your makeup but a dry mist that refreshes and soothes your skin. 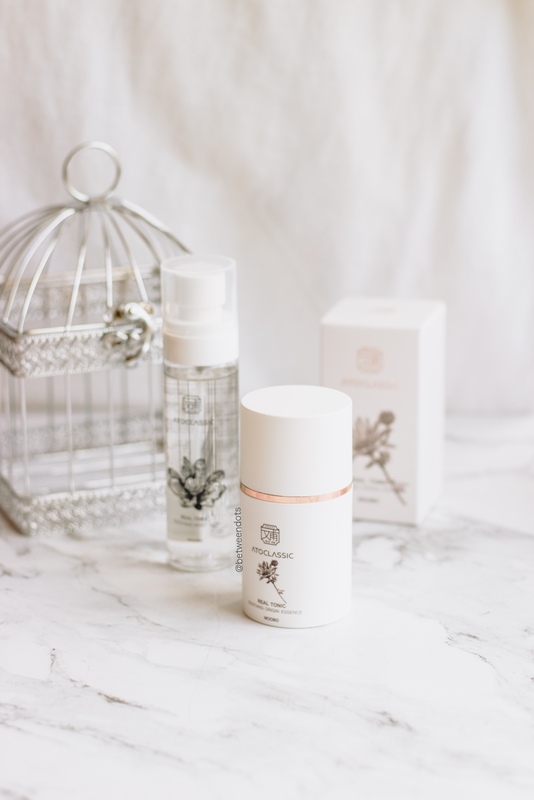 My skin lately got really dry especially under the makeup and this mist is lightweight and 80 ml bottle is ideal for summer - I can simply put it in my tiny bag and use it outside. The scent is very delicate, almost impossible to smell it but for me, there's something in this product that I can feel in my throat - I literally can't smell it while spraying my face with a mist another way I can end up with a scratching feeling so I have to be careful while I spray my face but the good thing is that - I can just spray some cotton pads and then use it. I've decided to measure my skin with Wayskin device to see if there are a difference and my skin hydration which was on level 2% after the use ended up on a level of 45%. It's a good result, in my opinion, I wasn't suspecting a mist to hydrate my skin more like from 2% to 99%, that would be bit strange but hydration is not all. I had no allergic or comedogenic reactions to this product. I feel like actually, this product soothes my skin and helps me survive warm summer. This product is ideal for a sensitive oily skin, it might not be the most hydrating skin but it is indeed a soothing product for a sensitive skin. What's new for me in the essence is a delicate gel formula - it's nothing similar to all the essences I've tried since I've started blogging. The scent is natural - you can't really smell it, somehow it reminds me of salt but it literally smells like nothing - pure water or paper sheet. This product is told to contains 20 traditional herbs and it's recommended for people with rosacea and atopic dermatitis. In January 2018 my skin started to freaks out and I know that rosacea and atopic dermatitis is a problem in my family, especially that personally, I'm allergic to many ingredients in food and I react badly to citric acid. The number of ingredients in the essence is bigger than in a mist but it's also a surprising composition. Panthenol is really high in this formula. For me, Panthenol is an ingredient which I remember from my childhood, it's a humectant used on sunburns, dry and irritated skin. Another ingredient worth a look is Glycyrrhiza Glabra (Licorice) Root Extract - an extract well known to every person with acne-prone skin. 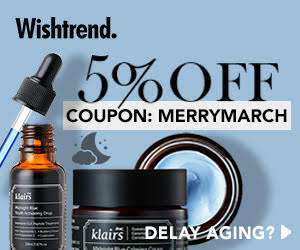 It's an antioxidant and soothing ingredient that can brighten the skin and speed up the healing process. There's also my favourite Panax Ginseng Root Extract which is an ingredient typical of Korean skincare but also health in general. 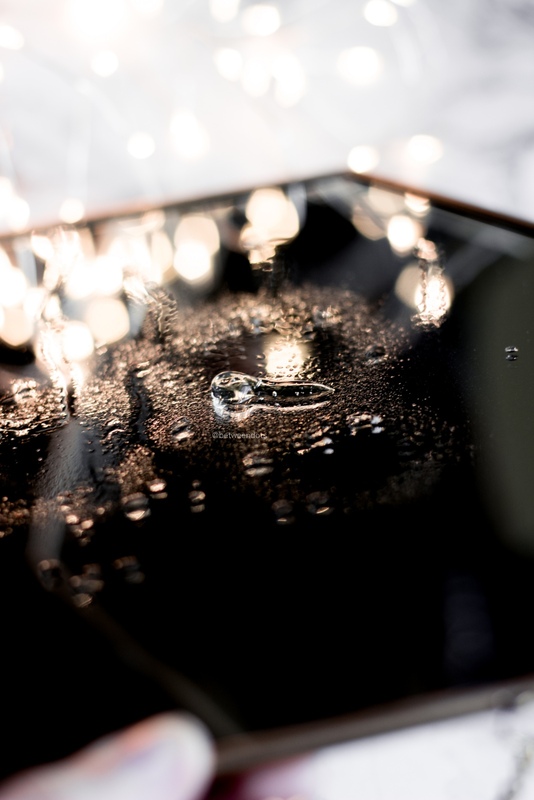 The formula, as I said before - it looks like a gel, the texture looks impressive and the lightness of it so surprising. It's a soothing and hydrating product which you can't really feel on your skin. Even if it's a gel, it won't leave your skin sticky. The product might contain Licorice Root Extract but don't suspect this product to cure the acne or lighten your skin - I had no comedogenic reactions to this product or allergic reactions but this product is not an acne product but it's a product that helps with skin barrier and lowers the irritation and help with inflammation as well as soothes the skin and helps with skin redness. It's a good product for the summer because it doesn't make the skin oily. You might not see here how much of the product is left inside but this packaging is very clever - it protects the product from bacteria which is a solution I know from polish brands that make eco products. If you store the product in the fridge before using it, it's even better for summer. I can't say anything bad about this product. Is it worth a try? Where can I find Atoclassic products? Is this brand worth a try? I think yes, especially if you've got a sensitive skin and you want to focus on skin barrier. The essence is better for me than a mist, but if you travel then the mist is worth a consideration. You can find Atoclassic product on bemused. Have you ever tried any Hanbang brand? What do you think about this duo?